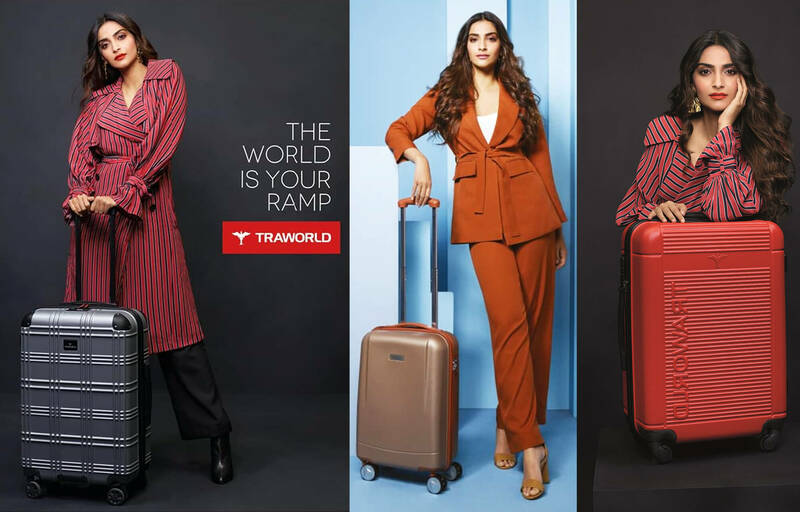 Sonam Kapoor Is Set To Make Your Travel Stylish With Traworld - Bold Outline : India's leading Online Lifestyle, Fashion & Travel Magazine. Are you bored of your age-old luggage bags? If yes, then the very stylish Sonam Kapoor Ahuja is here to help you out. Bollywood’s fashionista is venturing into the bags and luggage business with Traworld. The premium luggage brand from the house of High Spirit Commercial Ventures Pvt. Ltd recently announced the Veere De Wedding star as their brand ambassador. Sonam will soon be seen endorsing the luggage brand and create a new style statement for those travellers, who love to travel in style. If you have not heard of Traworld yet, it is time to change that. This modern luggage brand is selectively for those fashion- conscious travellers, as it offers a range of stylish, classy and yet sturdy luggage bags, crafted keeping in mind the need, latest trend and style sensibilities of its clientele. These trendy luggage bags ranges from casual to business travel, and its lightweight, shock resistant and water resistant with a unique locking system, for that extra security. It ranges from 4 wheels to 8 wheels, for an easy and comfortable mobility. Founder and Managing Director, Tushar Jain, also shared his thoughts on the brands association with Sonam. He was quoted as saying, “We are delighted to sign Sonam K Ahuja as a brand ambassador for our brand Traworld as she is the true embodiment of what the brand stands for. Her association with Traworld will strengthen the brand as fashionable, trendy and peoples’ first choice. We are currently one of the leading bags brands in the country and with this endorsement, we are confident that we will be aligning ourselves with the leading luggage players in the country”. Traworld is available in all leading retail stores across the country and for online shoppers, you can find them on Amazon, Flipkart, Myntra, Amazon, Snapdeal, Indiamart and Paytm Mall etc. Happy travelling to you! Saree and Jacket, Ever thought about ‘em?